Basement cracks may seem like a simple problem if caught early enough, but most of the time basement cracks signal a deeper foundation failure problem. Almost all cracks that you find around your foundation, whether they be wall, floor, or slab cracks , are a sign of a deeper problem. Cracks come in different shapes and sizes, and all of them can show you something different about your home’s foundation. For example, if you have a small crack on your hands, it most likely means your foundation problem would be easily fixed because the cracking has just begun. If you have a larger crack, it probably means you have a more serious foundation failure problem. The way cracks are angled can also tell you different things about your home’s foundation. For example, if the cracks in your basement’s walls are angled diagonally, it most likely shows that your home’s foundation is beginning to settle. Settlement can be a problem that is dangerous if not fixed as soon as possible, but there is also regular settling of a home that may cause hairline cracks but no real damage. Your home will begin to move into voids left by moving soil, becoming unstable. If let go, settlement can even make a house completely crumble. Fortunately, with Rapid Foundation Repair around, you don’t need to worry. We are the best when it comes to basement cracks identification and repair. 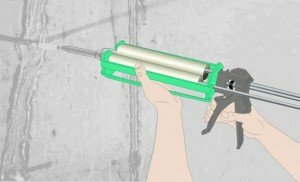 We can help you to fix all of your cracks, not just basement cracks–wall, floor, slab, foundation cracks, drywall, garage column–you name it, we can repair it. We have a crack injection service to help fix all of your home’s cracks, all you have to do is give us a call. We can also help you fix your home’s underlying foundation failure problems as well. 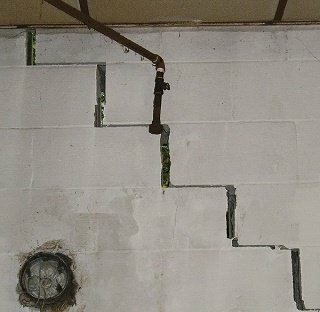 Cracks usually signal either bowing walls or foundation settlement, and we can help with both. Bowing walls are easily fixed with some type of resistance pier. We have a variety of quality products from Earth Contact Products. Depending on your specific foundation failure situation, we will help to choose the best product for your home. As for settlement, we also offer a variety of underpinning piers. We can also help pick out the best product for your situation here as well. 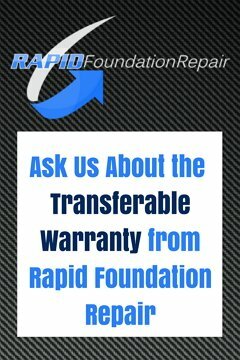 All in all, whether you need help with foundation cracks or more serious foundation failure problems, Rapid Foundation Repair can help. We are ready to help you with all of your basement crack needs. All you have to do is give us a call, we’re a professional team that will walk you through all repairs we make. Don’t wait, make the call today!